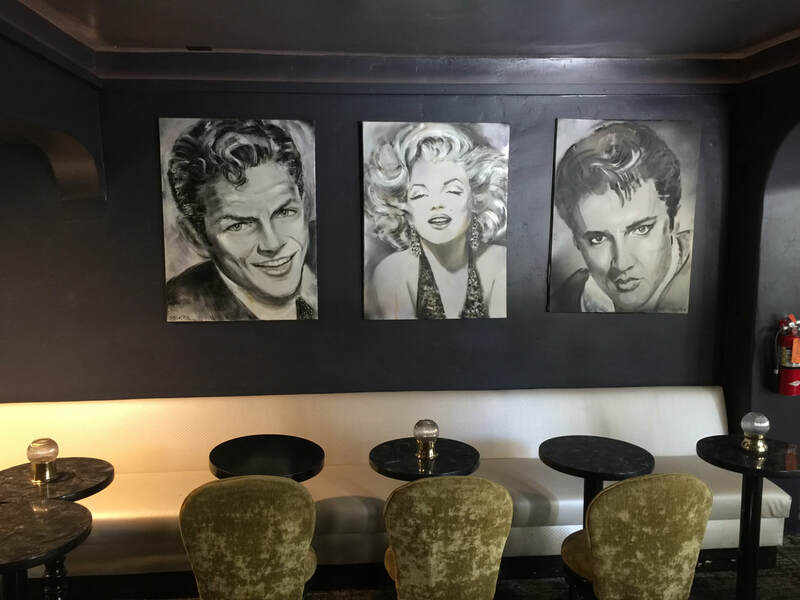 ​PALM SPRINGS, Calif._This is a town long known for its rich and famous; a desert oasis where Hollywood's elite lived and played, and still do today. 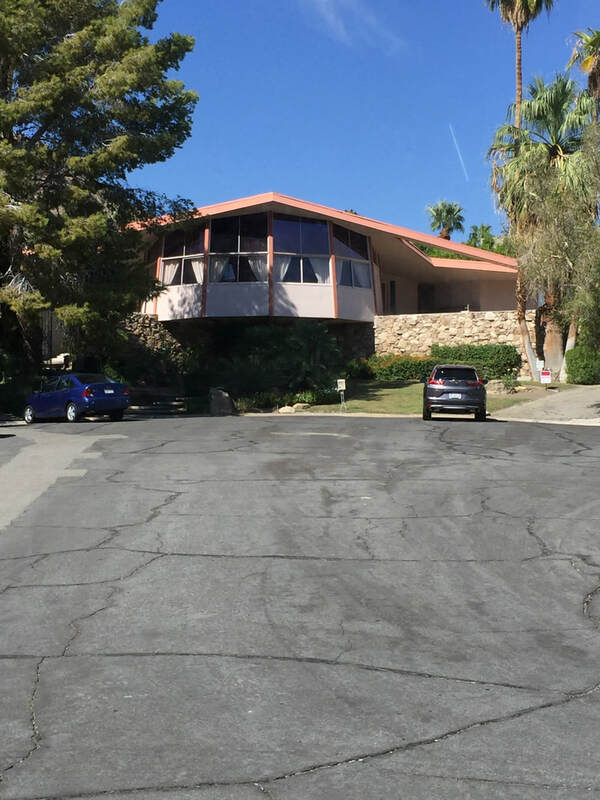 It's also well known as having the best examples of mid-century architecture in the world. How better to see it all than go full-on tourist and take a tour? So Pam and I signed up for The Best of the Best "Rich and Famous Tour." 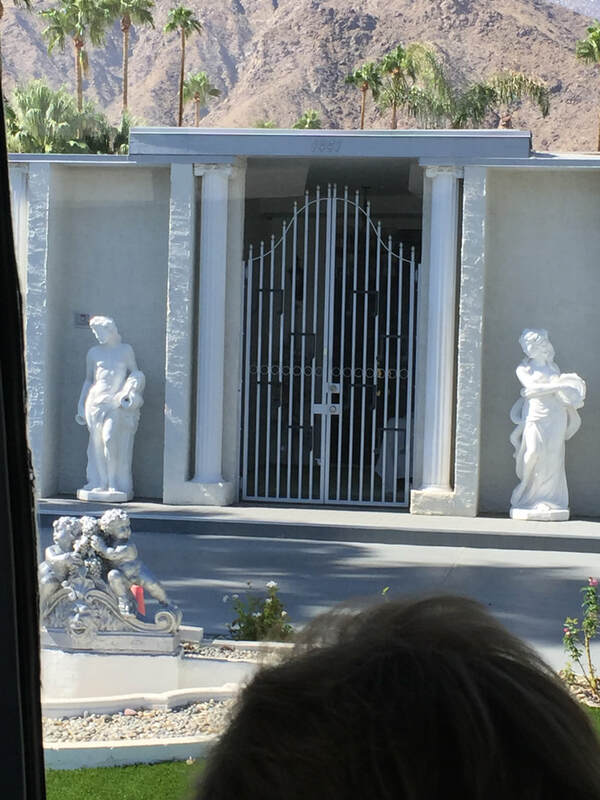 The tour promised we would "travel through the beautiful city of Palm Springs, California, and learn history and facts about the playground of the stars. . . Your guide will add fun and spice with stories and vignettes...and maybe a secret or two along the way. 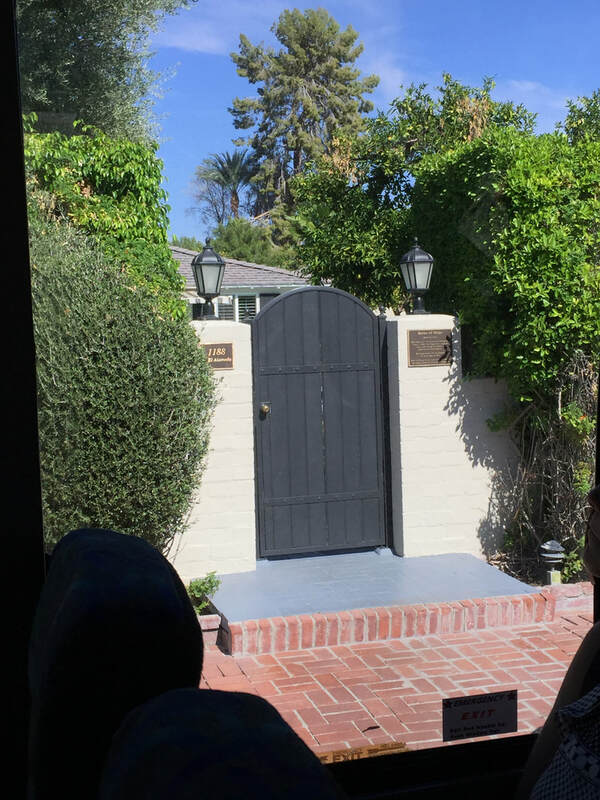 Why did Hedy Lamarr, Bob Hope, Bing Crosby, George Reeves and Dorothy Lamour all live on the same street?" Along with 30 or so fellow tourists, we boarded a mini-bus (it was noted full-size buses are prohibited from many of the residential streets) and were on the way. Our tour guide was entertaining, and very knowledgeable. 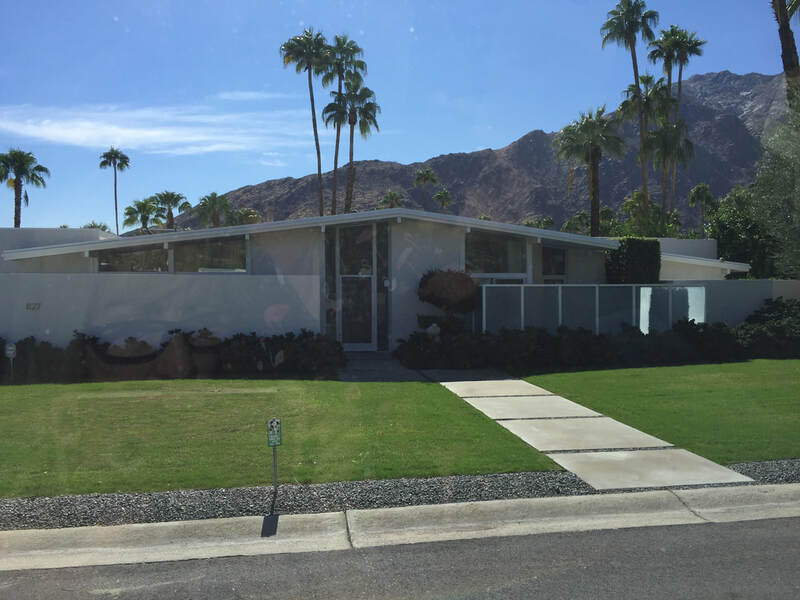 We learned about the history of the city ("iIncorporated in 1938, Palm Springs has a rich and colorful history. 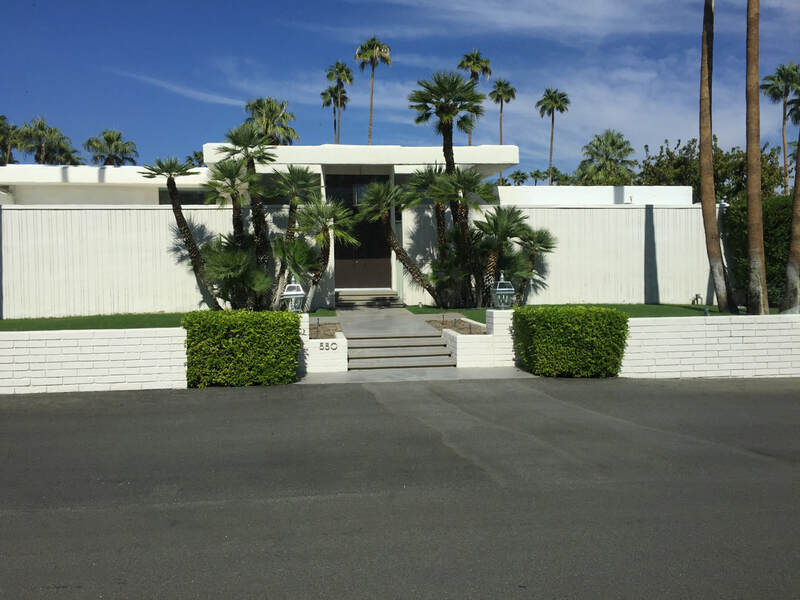 Once a tent city serving as a sanatorium...Did you know Palm Springs had at least two other names before it was finally dubbed Palm Springs?") 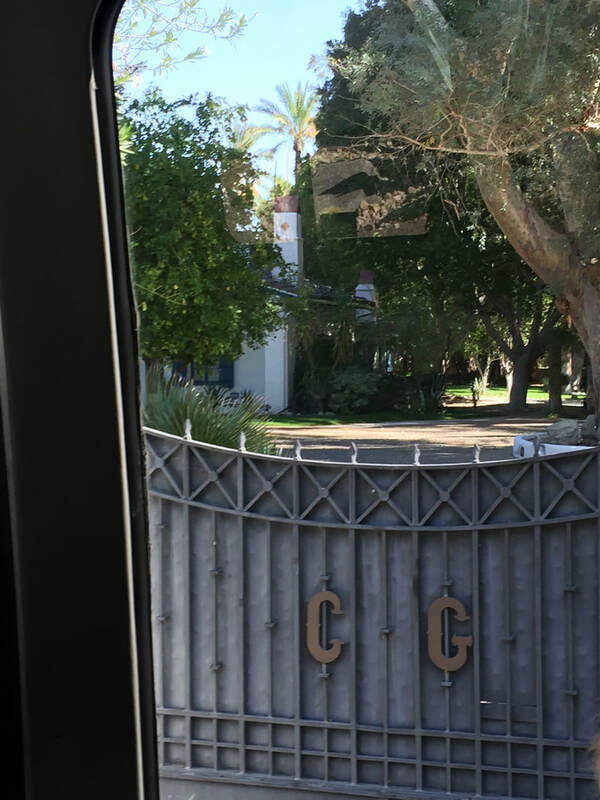 But of course seeing the homes and the homes of the stars was the main event. And see them we did. 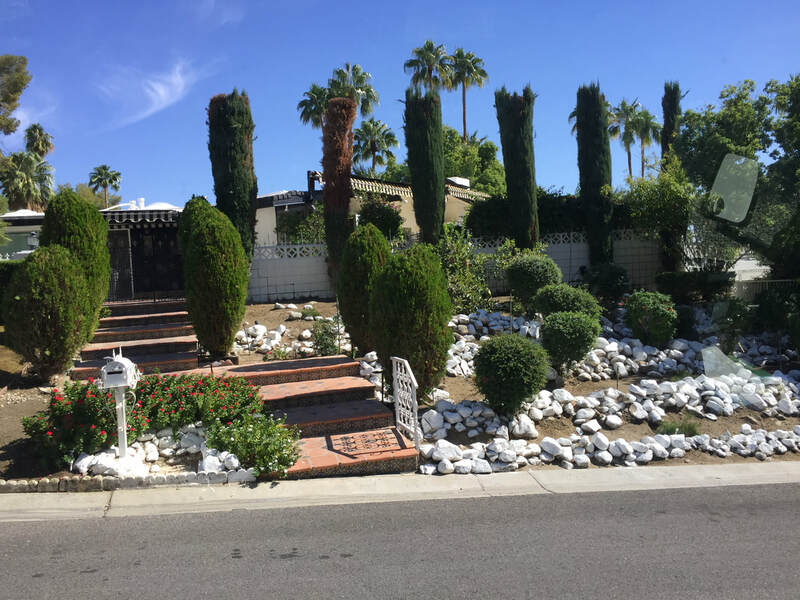 Dozens and dozens -- Frank Sinatra (Old Blue Eyes is also buried here), Bob Hope, Elvis, Lucille Ball,, and many more that called Palm Springs home. Who could blame anyone from loving this place? 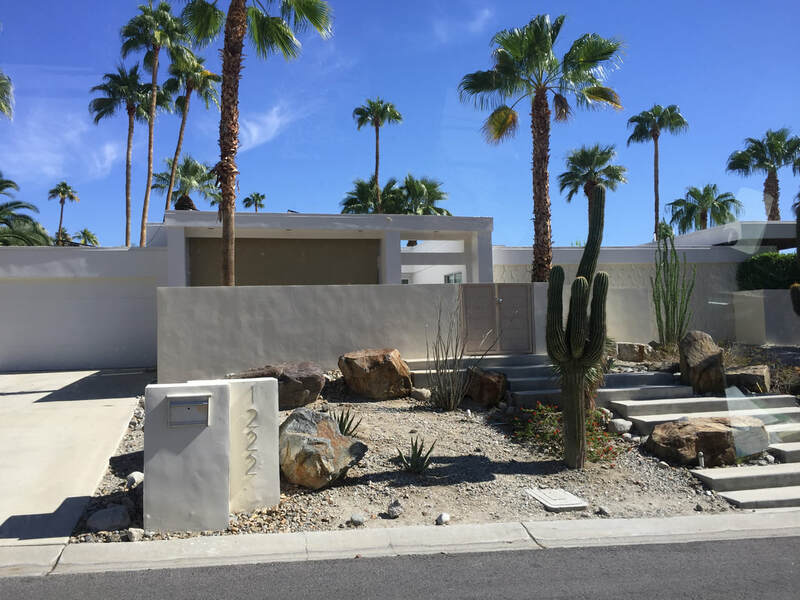 Set against the backdrop of the San Jacinto Mountains and endless palm trees, it's like a postcard everywhere you look. Of course, in the summer the temps reach into the 120s, so there's that. But we fell in love with it, too. In fact, only two things are stopping us from moving here: We aren't "rich" or "famous." Sigh. But we can dream, right? 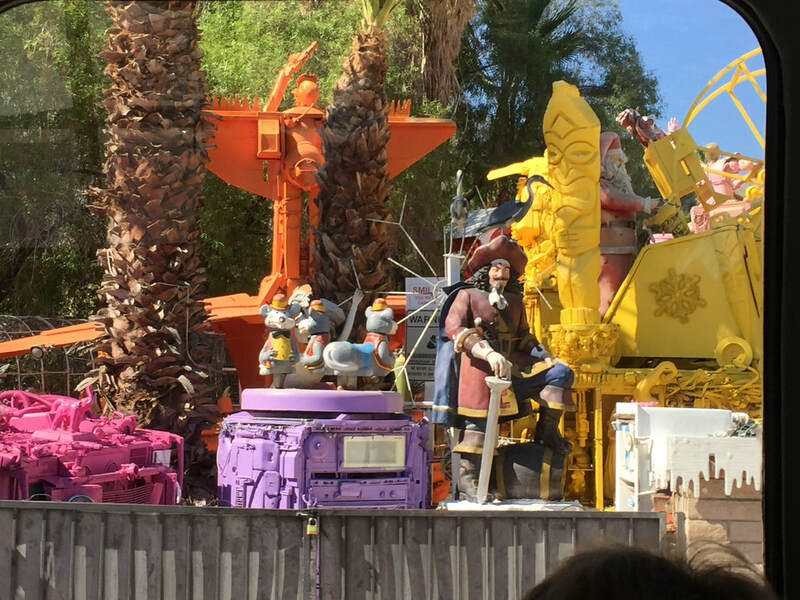 These crazy outdoor sculptures are the work of artist Kenny Irwin Jr. Pretty amazing! acquired it in 1975 and restored it to its former glory. 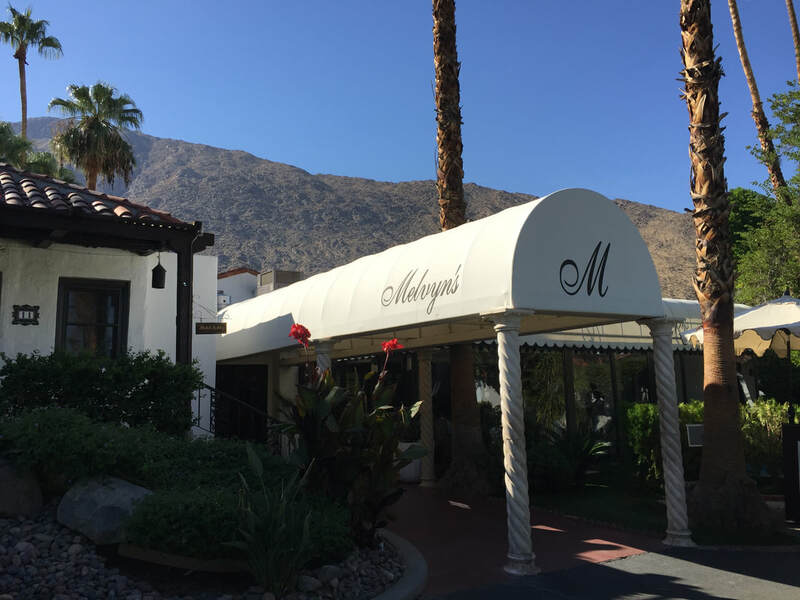 The property combines the restaurant with The Ingleside Inn, and today is one of the most popular gathering spots in Palm Springs. Keep a light on for us ... we'll be back!